Click on links. Explore solutions that sing to you. Read below for the rationale of each of these pillars for change. Atomic power is a proven technology. It exists now and can be safe now. With geologic storage, it is clean – forever. Using high volume, cookie-cutter designs it can be cheap, cheap, cheap. All that is needed is the vision and the will. Investors could actually make money from this planet saving initiative. Atomic power remains unpalatable to many people today. It still seems risky, even though it is not. Prediction: Climate change impacts and extreme weather events will become so horrific over the next decade, that suddenly the only viable solution will start to look really good: Nuclear Fission plants, to replace oil, gas & coal, before Fusion is ready. Details on a balanced Sustainability Tax definition are provided on this site. Implementing such a tax scheme depends on grass roots demand for change. Few politicians or captains of industry are going to volunteer for these changes, without a good hard shove in the right direction. After the Industrial Revolution, people and unions had to fight hard for fair wages and fair working conditions. Grass roots movements and organizations now need to fight for our planet. All Liberal, Social and Green Party candidates are invited to embrace Sustainability Tax, or their version of the concept. Let it become a well defined economic principle and global movement. Carbon Dividends – An appeal to conservative politicians, organizations and citizens: The conservative think tank, the Climate Leadership Council, want to see carbon tax paid out as dividends to consumers. Prominent Republican politians have endorsed this concept. Strong leaders who are grounded in reality are needed. TAX THE ULTRA RICH! – Hooray. Here is something most people can get behind: Tax the ridiculously rich, those company owners, CEOs, or simple inheritors, who have benefited the most financially from the fossil fuel revolution, in every industry. A carbon tax will not disrupt their lives, as it may do to factory workers. All those folks with more than $100 million in the bank can easily pay for the transition to energy sources other than fossil fuels. There are > 200,000 ultra-rich persons in the world, with liquid assets of > 30 million. (Wikipedia page on the ultra rich). Adding the data together, the group owns $27 trillion in assets. 10% of that is $2,700,000,000,000 ($2.7 trillion). That would go a long way toward designing better batteries for power storage, or building 1,000 + safe nuclear fission (atomic) power plants, based on high volume production of a single design. If we tax all ridiculously rich people equally, it will not hurt them. Rich people do not need more money – they only compete for “Who Has The Most”. A 10% wealth haircut for every rich person will let them all continue to compete on the same level playing field. Bonus: It really is time for there to be some income equality between rich and poor in N. America, Europe and developing countries all over the world. Otherwise there may be revolutions. 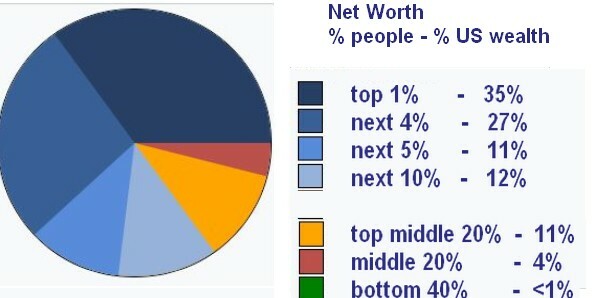 20% of people in the US own 85% of all assets. (1 / 10th of what a rich person owns). 60% of people in the US are truly screwed. They own 4% of everything or pretty much nothing. Time for a haircut at the top! Owners and CEOs got a lot of loot (profit & wealth) from a wide range of industries during the fossil fuel age. Let the rich pay for the damage to the planet. Compared to Europe, the US looks like a third world country. 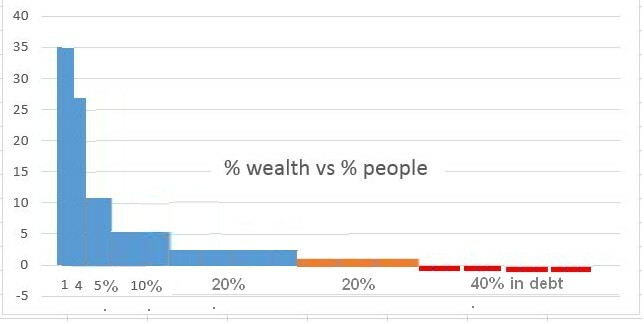 Percentages of national income are shown, from 1980 – 2016, for the top 1% of people versus the bottom 50% of all people. 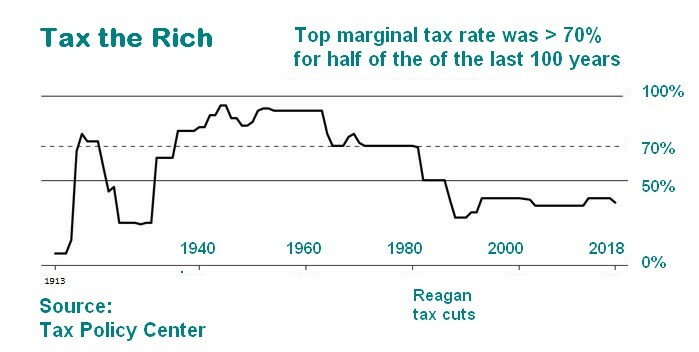 Thank the Reagan tax cuts of the 1980s for this world turned upside-down. Tax the Rich. Let them pay for the damage to the planet that made them so wealthy, while working and middle class incomes stagnated since 1980. Look for Map updates on 2020 election candidates. In countries where 80% of Women attend highschool, average birth rate drops to two (2) children. This is a far more sustainable for the planet, than seen in the least developed countries, where fertility rates remain high (4+). Education of Women (and men too) has the highest leverage or multiplying factor toward reducing birth rate in an ethical fashion. Humanitarian spending has many needs, some of which are critical short term. The best long term investment is in Education of Women. This will also promote health, improved human rights, ethical population management, and reduction of conflict. Use paypal or a credit card; select your amount: $1, $10, $100 or … ? Your entire carbon footprint may be offset for as little as $200 a year. Find out using the tool below. Or, offset flights only, for very few dollars – $50. Fly carbon-neutral. Carbon: Some embrace carbon taxes, others do not. 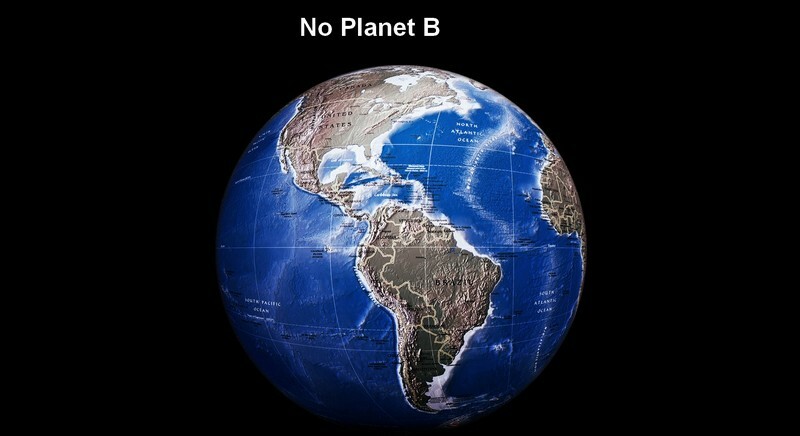 But really, it’s time to live within the means of the earth. Less affluent countries and students are already helping by not being high-energy consumers, and not being frequent flyers!! This is an entreaty to the more comfortable middle class, the affluent, and the rich. You can pitch-in by purchasing Carbon Offsets when flying somewhere. It will be like buying happiness. You can do this at TerraPass.com. The TerraPass concept is to be transparent (audited) and to create real and additional carbon capture or carbon reduction projects. Good general environmental information is found at the site too. It’s the best site we could find. For only $200 – $300 / year, many persons in developed countries can afford to offset their carbon footprint. Live a “crazy rich western life”, almost guilt-free. (c) combats sugar addiction and weight gain. Changing one’s diet can be a bigger reduction of personal ecological footprint, than changing modes of transportation or having an energy efficient home. 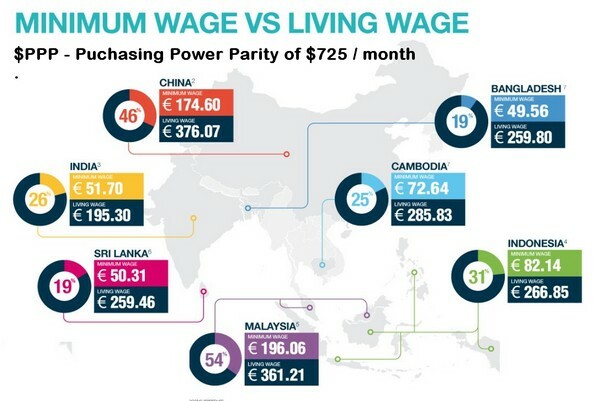 Living Wages for Factory Workers. A sustainable planet needs some wage equality. This part of human rights is introduced here. It is firmly believed that transition to a Sustainable Planet is deeply connected to, and dependent upon global human rights, including fairness in the workplace. 40 sustainable cities – Cities will shape our future. C40 cities around the world are taking bold climate action, leading the way towards a healthier and more sustainable future. 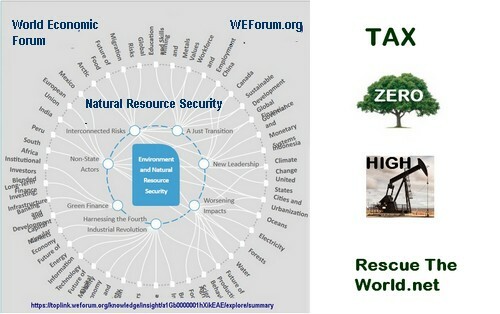 This is defined as a combination of applying Sustainability Tax in the global economy and Human Rights in the global workplace. Proverty is tied to Short Lived Air Pollutants (SLAPs). Poorer people rely on burning biomass (wood & other) for cooking. 3 Billion persons cook over open fires. It is bad for health and good at producing harmful black carbon. Producing cheap energy from coal, abundant in Asia and the US, is also problematic. 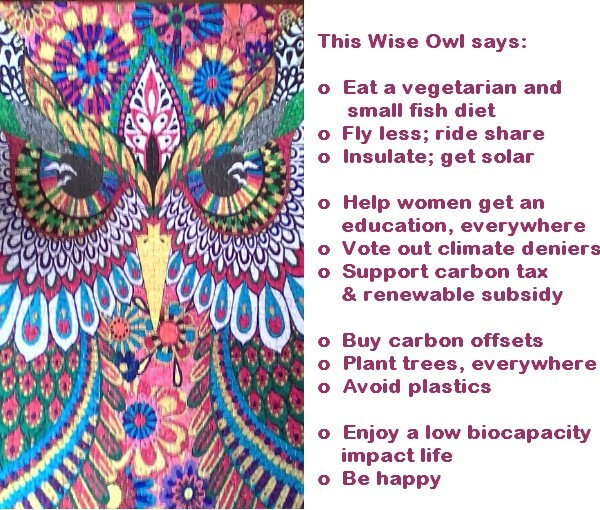 Reducing poverty world-wide will reduce harmful sources of black carbon, methane, ozone and HFCs – all are SLAPs. Combined, Short Lived Air Pollutants (SLAPs), cause as much climate change as very long-life carbon dioxide. These can be reduced NOW, by fighting poverty. Anothger leading cause of SLAPs is animal agriculture. Meat production produces massive amounts of methane and nitrous oxide. These short-lived gases have a much higher impact on temperature change than carbon dioxide. A plant-based diet is a great way to offset CO2 impacts. Take the link in the title to see the limited Wind & Solar part of global Energy. Discover other Renewable Energy sources and get an introduction to Fusion, the holy grail of Renewables: Nuclear Fusion is a Limitless and Clean Energy source. Too bad it is still decades out in the future. Replace GDP with Bio Capacity measurements for every Country and per Capita. Even GDP per Capita, a measure of productivity and living standard, is a better benchmark than absolute GDP. There are thousands of economists out there who could do a better job of defining this than I; they need the mission. World Economic Forum and Global Footprint Network – let’s get it together. Individual Participation. This is harder to define and measure. (Working on it; need a brainstorm). How can a person succeed both financially and sustainably, in equal measures? This economic conundrum needs a Nobel Prize level investigator or two. A starting point may be measuring and publishing individual contributions to sustainability (voluntarily). This is not like publishing a salary – it is more a recognition of leadership. 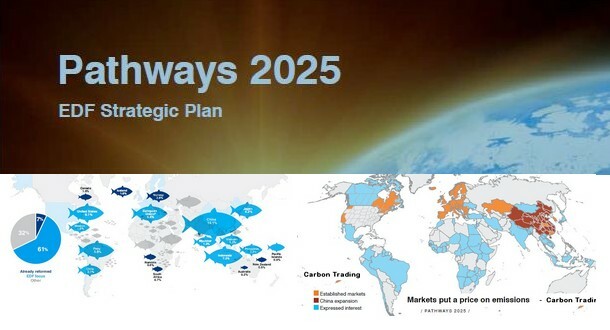 Download: The Environmental Defense Fund (EDF.org) Strategic Plan for 2025: EDF – Pathways 2025, at their website. – Yearly secondary day school fees: KES 17,000 (US $170). – Yearly 2nd’ry boarding school fees: KES 53,000 (US $530). Everything is driven by commerce, so why not use financial motivations to create a Sustainable Planet? Focus on GDP growth needs to shift to growth in Bio Capacity. In business, “what gets measured, get’s done”. We must change the measures of success. Vital statistics on a Sustainable Planet, selected from extensive global reports. See info on BioCapacity, Climate + Hurricanes, Education, Solutions. Invite others to visit RescueTheWorld.net, for this world overview. Images show site topics. Click on the LEFT Sidebar to explore topics. 1. 58,000,000 persons displaced by drought and conflict, per UN. 2. Massive aquifer water losses globally. 3. Rampant wildfires in CA, BC, Siberia. 4. Flash floods in Japan, Bangladesh, India; 1,000,000 persons affected. 5. Doubling of hurricane numbers, severity and damage costs since y2000. 6. Droughts, wheat shortage, + Arab Spring. Civil wars: middle east + africa. 7. Die off of coral reefs. 8. Melting of glaciers and polar ice. Permafrost thaw and CO2 release. 9. Plastics pollution, fertilizer pollution and extensive ocean dead zones. 10. Sea level rise faster than IPCC + ocean scientists predictions. 11. Potential for cascading feedback + accelerated carbon release, per hothouse earth.